Disc brake systems for cars and light trucks have been standard equipment for over a decade. By design, all disc brakes are self adjusting and therefore, they require no periodic readjusting to compensate for brake shoe wear. However, certain malfunctions may cause a disc brake to drag. This drag will reduce mileage and result in premature brake pad and rotor wear. Disc brakes are used primarily on front wheels but are also used on the rear of some vehicles. It is critical for both safety and maximum fuel economy that disc brakes operate properly. It is important to note that any brake system on a given vehicle operates in the proper front to rear sequence and that the left and right sides operate in unison to avoid undue premature lockup or lateral forces. What causes disc brakes to drag? Several malfunctions are possible. On the floating caliper, single piston design, the most likely culprits are a build-up of dirt, corrosion, or loss of the protective lubrication on the guide pins, sleeves or ways. These prevent the caliper from fully retracting when the brake pedal is released. The four piston, non-floating design is used only on larger pick-up trucks and vans. Four piston types tend not to retract as a result of corrosion build up in the caliper hydraulic. Small incremental increases in corrosion inside the caliper bores prevent the pistons from fully retracting after each brake application. If one or more pistons fail to fully retract, the shoe will drag the rotor resulting in excessive drag and reduced mileage. How are these problems corrected? If external corrosion, dirt, or lack of lubrication is the problem, the standard procedure is disassembly in accordance with manufacturer's shop manual procedures, cleaning of all parts with appropriate solvents, inspection for wear, metal fatigue, and failure, lubrication using the recommended lubricant and reassembly. If brake drag results from a piston or pistons not fully retracting, then caliper disassembly, inspection, and rebuilding will be necessary. Observation of the manufacturer's cautions in the shop manual, noting the recommended bleed down procedures for hydraulic systems in anti-lock braking systems and hydro-boost type systems, is essential. Vehicle pull - If all alignments are within specification, a car or truck can still pull to one side if a disc brake drags. Tapered pad wear - This failure, most common on four piston, fixed caliper type, is caused by one or more pistons failing to fully retract. A high-pitched scraping or squealing noise that goes away when you step on the brake tells you that the brake pads could be worn. 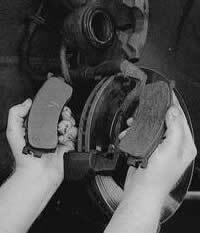 A grinding, metal-against-metal sound when braking indicates that your brake pads or shoes may be completely worn away, and you are now damaging the discs or drums. If your brake pedal feels soft or mushy or gets harder and higher when you pump it, you might need your brakes “bled” (which gets air bubbles our of the brake lines), or you may have a leak in the system. If the brake pedal slowly sinks to the floor when you step on it (or intermittently), you might be in need of a new brake master cylinder or other hydraulic service. If your car pulls to one side when braking, you might have insufficient hydraulic pressure in one part of the brake system, or one brake caliper might be sticking. Front-end problems can also cause this symptom. Smoking brakes, usually accompanied by a very bad smell, indicate a stuck brake caliper or wheel cylinder, or weak return springs on drum brakes. 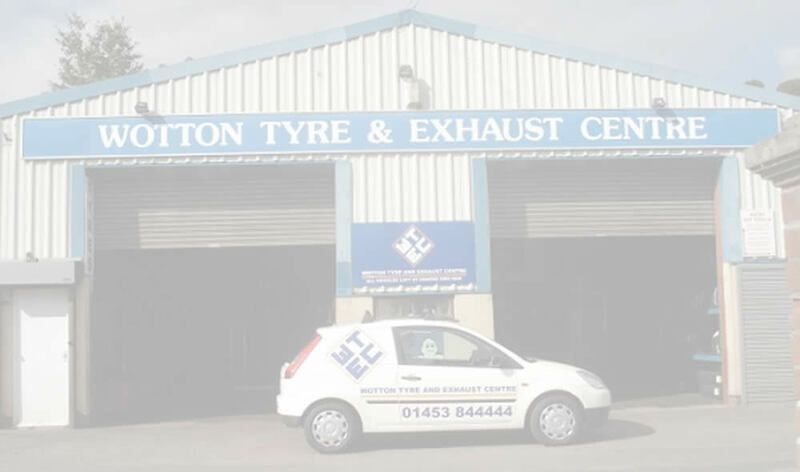 Note: You should take advantage of our FREE four-wheel brake inspection every six months, regardless of whether you hear noise or experience brake problems.